Announcement Elements, is my studio where all jewelry is hand-fabricated by me, using old world metalsmithing techniques. My work expresses itself in a unique, natural, and organic style that creates original pieces that you can feel good about wearing. 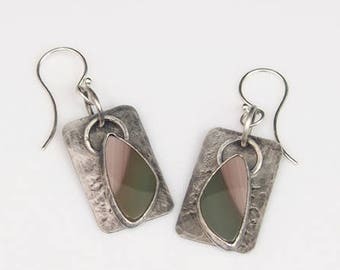 My jewelry is created from recycled precious metals and ethically sourced diamonds and stones. I am committed to using environmentally-safe studio practices–focusing on zero waste– work primarily in Argentium® Silver (an innovative, tarnish-resistant silver). My cabochons and stones are acquired from well respected dealers and lapidary artists. I stand for social responsibility and a healthy environment and I carry this philosophy throughout my life, community and business. Join my mailing list for updates on collections, shows, or sales. Elements, is my studio where all jewelry is hand-fabricated by me, using old world metalsmithing techniques. 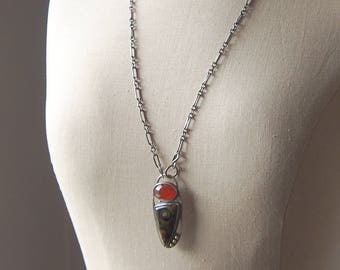 My work expresses itself in a unique, natural, and organic style that creates original pieces that you can feel good about wearing. Thank you so much! I love it. It’s beautiful and just what I was looking for! Another gorgeous bracelet to add to my collection! I love its simplicity! 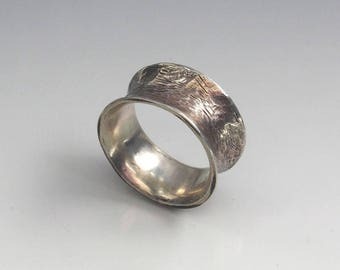 Spinner ring using recycled argentium silver and 14k red gold. Kyanite and recycled silver necklace- opens up the third eye chakra! I'm a one woman show taking care of every aspect of my business. Everything from designing, metalsmithing, marketing, and photography you name it and I do it. I wouldn't have it any other way! My business practices align with my love for our environment. Mining is a destructive industry that is rated as one of the top 5 of worst polluting industries globally- destroying the environment, polluting groundwater, killing life both human and animal for decades to come. By employing green studio practices, and using only recycled metals in every piece I build, I feel I've lessened my impact on our earth. I buy my stones from well-respected lapidary artists and dealers. My silver and gold sheet/wire comes from a U.S. refinery– Hoover and Strong– who have been certified in using 100% recycled metals. I'm inspired by nature and textures, and the power of those torches. 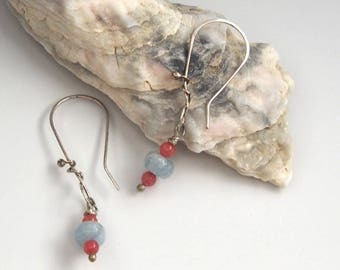 I use only recycled precious metals, natural gemstones and cabochons from trusted, well-respected suppliers and lapidary artists. All of my pieces are designed and fabricated in my own home studio. I take pride in each piece I make and select stones individually. 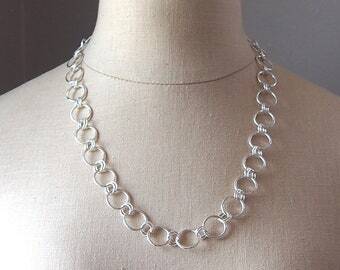 I never buy in bulk, so each piece of jewelry is original. Remember when sizing your fingers that wider bands and stacking rings fit more snugly than thinner ones, and sizes should be ordered up to accommodate for the width. Thanks for visiting my shop and I hope you like what you see. Your complete satisfaction is important to me. If you have any questions prior to your purchase, please don't hesitate to contact me. If you are not happy with any item you buy, please contact me within five days of receipt and we can work out a full refund or exchange (minus my shipping costs) IF the piece is returned to me in it's original condition. I accept payments through PayPal and Direct Checkout through Etsy. Etsy Gift Cards may be used as well. Please pay within three days of purchase. Payment in full is required before shipping any item. A deposit or payment plan can be an option to start any custom order. If a deposit is being made, 20% of order total is nonrefundable if the order is canceled after production has started. I strive to ship your product within 3 business days of receiving your order. If you are unhappy with your purchase, you may return it for a full refund minus the cost of shipping. All "outbound" shipping is FREE within the U.S. and handled USPS Priority Mail. If an order is placed on Etsy, I ship to the address given on Etsy - I do my best to check any discrepancies with an address on your PayPal account, but sometimes I may not notice - so please make sure the address is correct. If there is an issue, just let me know. For shipping international orders, please convo me with your destination and I will provide you with the shipping cost information. International orders also ship USPS Priority Mail and a default international charge of $20 will be applied to your order- any refund on the difference will be promptly refunded to you. All jewelry is shipped in a box appropriate for gift giving. Items are shipped in a bubble mailer, flat rate envelope, small priority box or other shipping box. I insure everything. Items over $100 are shipped Priority with insurance. I ship USPS but can ship UPS or FedEx, just ask! Items will be shipped when they are finished or after the final payment is made. An email with tracking info will be sent as long as a valid email address was provided. Shipping times vary, but as an average Priority is 2 - 3 days. First class is 2 - 10 days. This is not a guaranteed timeline, simply the estimate given by USPS. If you're looking for EXPRESS shipping in the U.S. - I'm happy to upgrade just convo me and I'll give you the exact cost. I will do everything I can to work with you on locating the package. If an item has been insured and needs to be replaced, there may be a waiting period on the insurance claim.